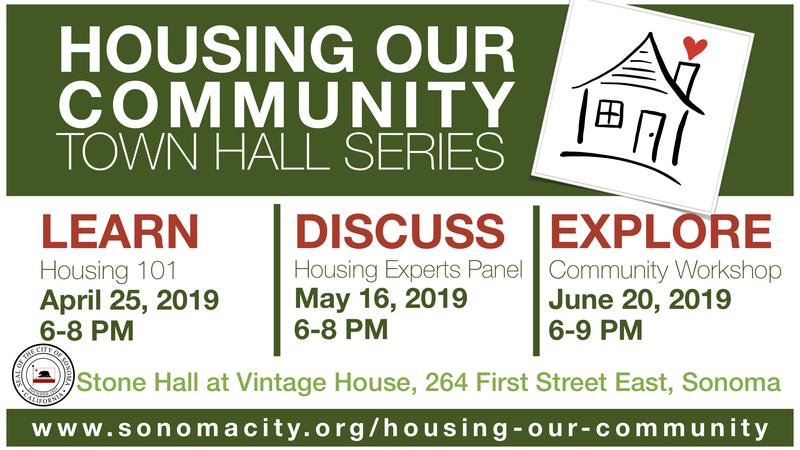 Facilitating housing opportunities in Sonoma requires a multi-faceted approach in keeping with the City's policy and regulatory documents (including the Housing Element, General Plan, and Development Code). Prior to 2011, funds from the Sonoma County Redevelopment Agency were the primary source of funding for low and moderate income housing in the City of Sonoma. In response to the loss of redevelopment, the City is developing strategies aimed at supporting housing opportunities. Strategies that were recently put in place or are currently in progress are outlined below. Accessory Dwelling Units (ADUs), also commonly known as in-law units, granny flats, or secondary units, can play an important role in adding cost-effective affordable rental housing, as well as providing a source of income for homeowners. 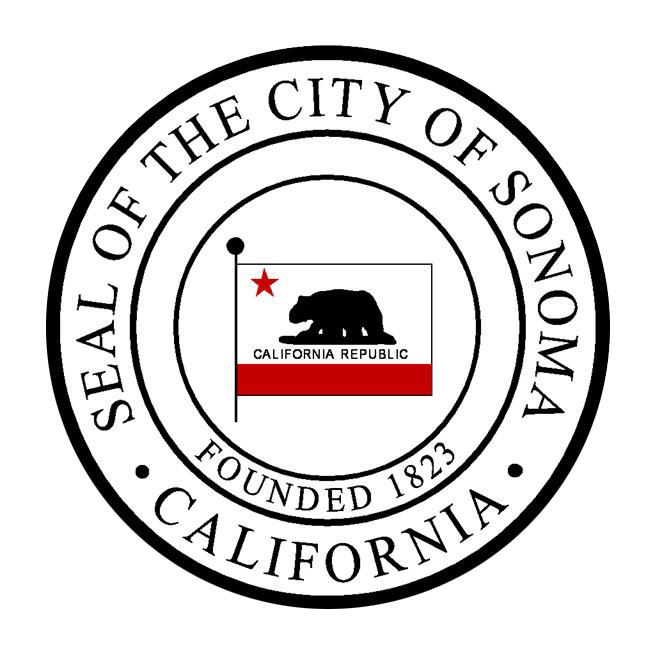 The City of Sonoma has updated its regulations to facilitate construction of new ADUs, including modifications to requirements for parking, fire sprinkler systems, and water and sewer connection fees, consistent with State law. The City has also prohibited short term rental (less than 30 days) of ADUs, and established a fee waiver program to further encourage their construction. Learn more at the Planning Department's Accessory Dwelling Unit page. In order to help preserve existing housing stock for long-term housing purposes (and to establish operating standards for existing vacation rentals), in November 2017 the City Council adopted regulations prohibiting new vacation rentals in the City of Sonoma. Under the new ordinance, vacation rentals are no longer a conditionally-permitted in the Mixed Use and Commercial zones (new vacation rentals were already prohibited in residential zones). An exception is provided for applications involving the adaptive re-use of a historic structure. View a list of existing approved (legal) vacation rentals. Many local governments use housing impact fees on commercial and market rate housing developments to generate funding for affordable housing. 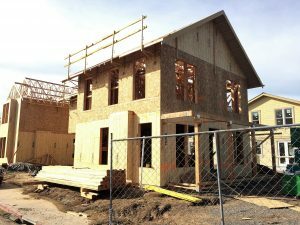 The fees generate funds that are combined with other sources (grants, state and federal funding) to help build affordable and workforce housing. For larger developments, this impact fee may be waived if the builder chooses to construct an equivalent share of affordable housing. 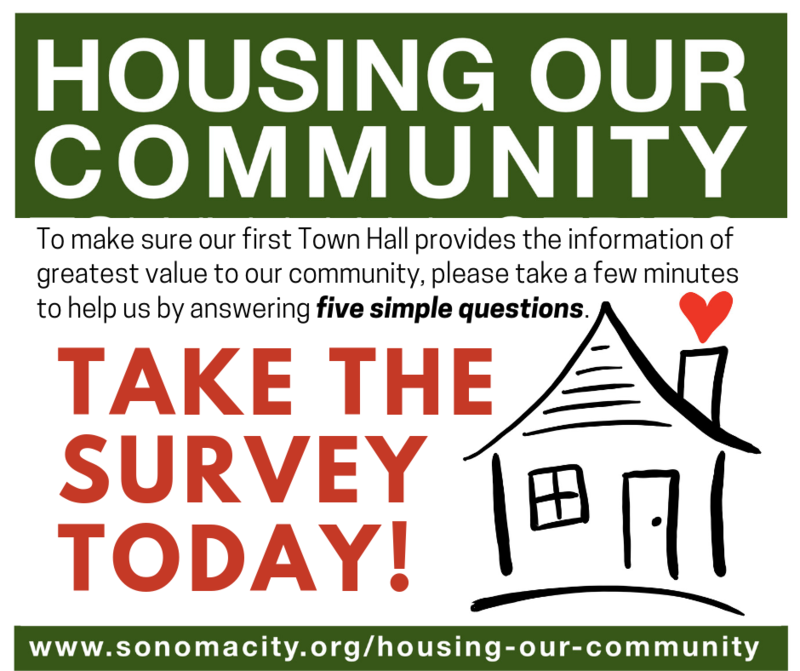 While the City of Sonoma currently utilizes inclusionary housing requirements on new development, it does not currently require housing impact fees for projects that are below the 5-unit residential development threshold, or for mixed use or commercial projects that do not include a housing component. The adoption of housing impacts fees requires a “nexus study”. Identifying the nexus between market-rate development and the need for affordable housing provides the justification for cities to adopt housing impact fees. In March 2017, the City hired the consultant team of Keyser-Marston and Karen Warner Associates to prepare the 2018 Draft Residential Nexus Study and the 2018 Draft Non-Residential Nexus Study, providing a legal basis and options for establishing fees to mitigate the impacts of new development on the need for affordable housing. The draft report was presented to the City Council for review, discussion, and direction at the City Council Meeting Monday, March, 19 2018. Based on the direction received, a final report will be prepared, reflecting the City Council's determinations. The Haven, a 10-bed overnight shelter operated by non-profit Sonoma Overnight Support, is located in a City-owned building at 151 1st St. West. Funding for shelter operations is supported under a contractual agreement that was put in place by the Sonoma Community Development Agency prior to its elimination under State law. The City also supports the shelter by paying for utilities and maintenance of the City-owned facility using the General Fund in the amount of $30,000 a year through 2030 to operate an emergency shelter for the homeless. In response to the October 2017 Fires disaster in Sonoma County, the City Council appointed a Housing Subcommittee (then Mayor Hundley and Council Member Harrington) to identify possible actions for addressing housing needs created or exacerbated by the fires. In November 2017, the City Council adopted several recommendations for short-term actions including the following items. All of these measures were set to expire on December 31, 2018 unless extended by the City Council. On December 3, 2018, the City Council reviewed these temporary housing emergency measures and extended these items as noted below. Temporary Housing - This includes temporary occupancy of recreational vehicles, guest rooms, guest houses, and pool houses as temporary housing for persons displaced by the fires. The ordinance also allows legal vacation rental to be use as long-term rentals for more than one year without losing their vacation rental status. These measures will expire on December 31, 2019 unless extended by the City Council. Rent Gouging – Continue to take complaints on potential rent gouging and refer cases as appropriate to the County District Attorney for further review and enforcement. The Governor has extended the protections against price gouging to May 2019. Fee Waiver for Accessory Dwelling Units – A program establishing an Accessory Dwelling Unit Fee Waiver Program to encourage the construction of Accessory Dwelling Units. Fee waivers are limited to one per residence and capped at $5,000. There is $30,000 available for this program as one-time funding. The program will terminate on June 30, 2019, unless extended by the City Council.